Sally O'Malley made a promise to her daddy before he died. She swore she'd look after her sister, Troo, and keep her safe. But like her Granny always said, actions speak louder than words. And Sally would have to agree with her. Because during the summer of 1959, the girls' mother is hospitalized, their stepfather has abandoned them for a six pack, and their big sister, Nell, who was left strict instructions to take care of them, is too busy making out with her boyfriend to notice that Sally and Troo are on the loose. And so is a murderer and molester. Highly imaginative Sally is pretty sure of two things: who the killer is and that she's next on his list. If nobody will believe her, she has no choice but to protect herself and Troo as best she can, relying on her own courage and the kindness of her neighbors. 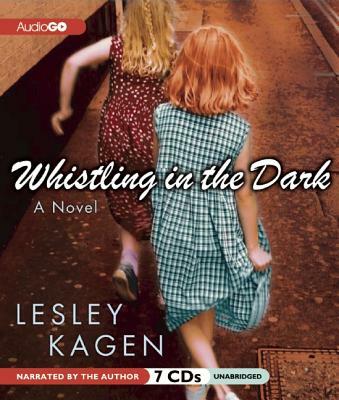 Lesley Kagen is the author of the "New York Times" bestsellers "Whistling in the Dark, Land of a Hundred Wonders" and "Tomorrow River."